Fitzgerald Marine Refuge is located just north of Princeton Harbor in Moss Beach (a sign on the highway will point the way). This is a multiple-use area known to scientists as an incredibly rich intertidal region. Its tide pools are famous. Twenty-five previously unknown invertebrate species were discovered here. Three endemic invertebrate species and forty-nine species at the extreme southern limit of their range contribute to the unique nature of the habitat. The reserve is a county park and is open to the public. Shorebirds typical of rocky shorelines occur here at low tide. It is also a good place to scope for seabirds. The cypress groves above the beach and the willows along North Lake Road south of the parking lot are locally famous spots for finding "vagrant" songbirds during Fall migration. Thirty warbler species have been recorded from here! The surrounding neighborhood has hosted a Gray Catbird and a Sage Thrasher in the opening decade of the twenty-first century. The Fitzgerald Marine Reserve encompasses much of the coast from Pillar Point to Montara; the area is also part of the Monterey Bay National Marine Sanctuary. 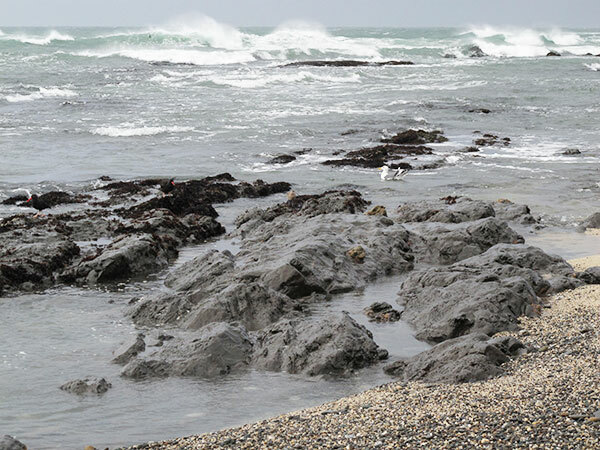 The coastal areas of Pillar Point are covered in that entry, and the seawatching from Moss Beach is likewise treated separately. This entry deals only with the area bordered by Nevada Street on the north to Cypress Avenue on the south. San Vicente Creek runs along the eastern side of the park, wending its way to the north edge of the park where it empties into the ocean. The bluff loop trail parallels the creek for a time (the trail begins with a bridge over this creek). The presence of this riparian zone so close to the ocean explains the park's status as a migrant hotspot. However, the birding here in fall has been less spectacular over the past ten years than it was in the 1970s and 1980s. Still, it is worth the quick walk along the bluff loop trail, because rarities remain anonymous unless birders find them! From the southwestern corner of the park, along Cypress Street, you can scope the ocean. A concrete obelisk not far from shore is a natural roosting point for cormorants; sometimes all three species will be there simultaneously, though Brandt's predominates. This spot, and the parking lot of the Moss Beach Distillery, are the best locations to scan for Ancient Murrelet in winter. If you choose to go to the beach, please familiarize yourself with the rules governing conduct in the inter-tidal zone. In winter, there are often many gulls around; perhaps they, too, are interested in closer study of small sea creatures. 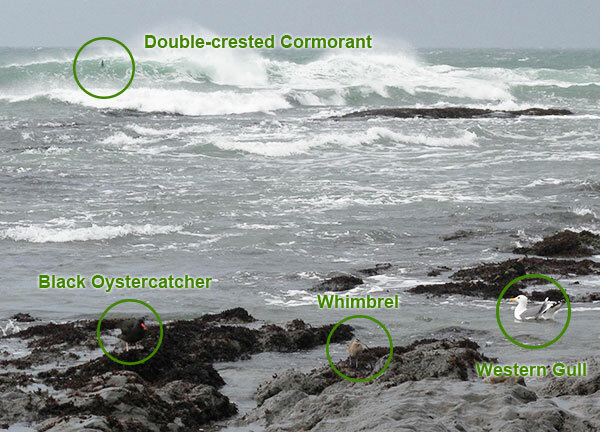 Rocky shorebirds, including the omnipresent Black Oystercatcher, should be looked and listened for. This is also a haul-out spot for Harbor Seals: know their rights! Don't disturb them, and never pick up a baby seal that appears abandoned: this is an expected behavior, but when the parent returns, it may not accept the baby as its own. By interfering, you could well condemn the pup to rejection and death. Know the Marine Mammal Protection Act, and visit the website of the Marine Mammal Center for more information, particularly their article on proper human/pinniped protocol during the pupping season. The Friends of Fitzgerald Marine Reserve publish an excellent book, The Natural History of Fitzgerald Marine Reserve. The book is available at the Reserve. In this guide, "rarities" are defined as those species given an County Abundance Code of 4, 5, or 6. The Reserve is reached from SR1 in Moss Beach, where it can be reached most easily by turning west on California Street. Drive to the end, then turn right onto North Lake Street, and right into the parking lot. Virginia and Vermont Streets can also lead you to North Lake Street and the Reserve. 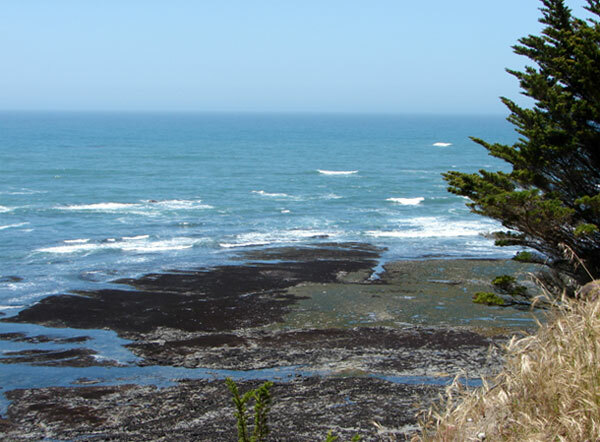 If you are using a navigation system, the official address is 200 Nevada Street, Moss Beach. Hover mouse pointer over marker, or click marker, for identification. Use of the reserve is free. Groups of 10 or more people who intend to visit the beach and tidepools need to make a reservation. Use this link http://parks.smcgov.org/fitzgerald-marine-reserve-reservations to make reservations, or call the reserve at 650-363-4021. The Reserve is open from sunrise to sunset every day. The cliff face is fragile and steep; stay away from edges! There are ticks here, so be careful where you tread in search of migrant rarities. This park is a great favorite for families and school field trips. The beach area is often crowded with people (and especially active and noisy ones) as to be unproductive for birding. As always, being there early can make all the difference. The Reserve sits just north of the Half Moon Bay Airport; during days when there are events at the airport, or just beautiful clear days along the coast, there can be a lot of airplane noise here. 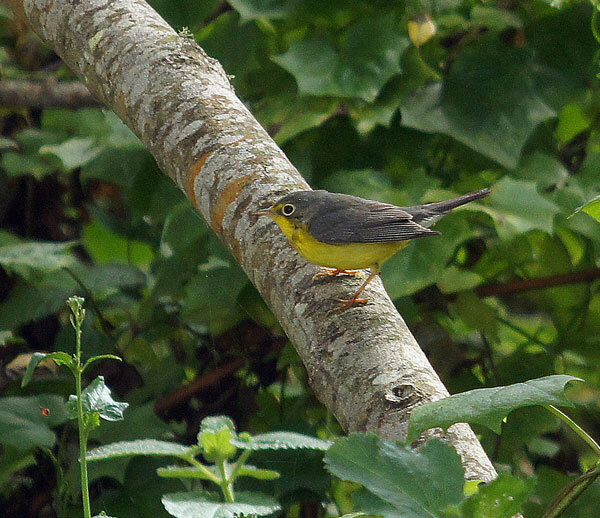 When one is trying to determine if a low "chip" note betrays a vagrant warbler, this noise factor can become obnoxious. The neighborhood surrounding the park has a few houses with bird feeders. Please use proper decorum if you stop to look at these birds: don't point your binocular vision into someone's front window! Restrooms are located in the parking lot, and are generally in excellent shape. There is a visitor's center on the south side of the parking lot; its hours are somewhat unpredictable. Moss Beach has a few restaurants and mini-marts if you need further provisions. However, because of the sensitive nature of the tide pools, the Reserve is not a place to which you should bring food. The Reserve can be contacted at 650-728-3584. The official park website includes the rules for tidepool etiquette. Friends of Fitzgerald is an active group that supports the Reserve and helps solicit docents. Their web page also includes a good history of the area. 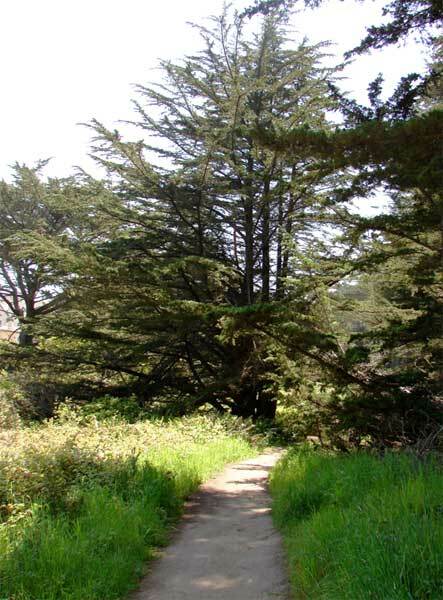 To assist in maintaining and nurturing the San Mateo County Parks, consider participating in, or donating to, the San Mateo County Parks Foundation. 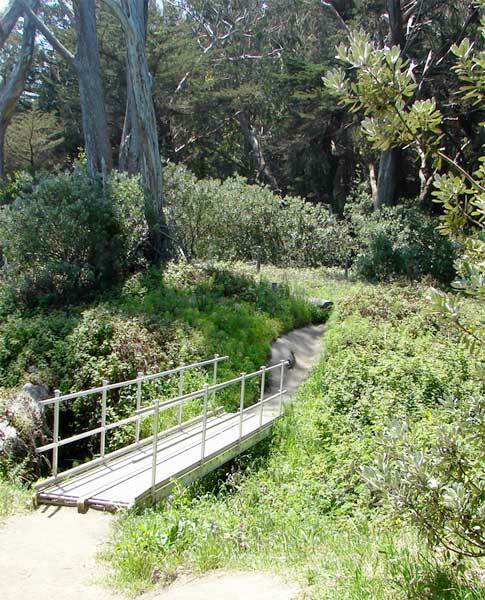 Bay Area Hiker gives a detailed overview of the loop trail and the beach walk. This colored map (png image) shows the creek drainages from Princeton Harbor and El Granada through Montara. Currently the eBird records for Fitzgerald Marine Reserve are folded in to the hotspot named "Moss Beach." 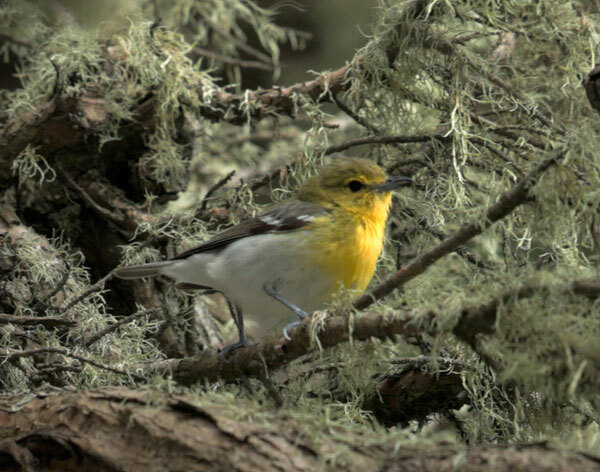 Please help establish separate records for the Reserve when you enter lists at eBird. Pt. Reyes Bird Observatory (PRBO) maintains a long-running study of Western Gulls; if you see Western Gulls with colored leg bands, note the respective legs and colors, and contact PRBO to forward this data to the researchers on this project. The San Mateo chapter of Surfriders monitors water quality along San Vicente Creek; check out their website for information and volunteer opportunities. The San Francisco Bay Bird Observatory (SFBBO) is conducting a long-range study of gull movements in the Bay Area. California Gulls have been leg-banded with plastic colored bands. If you see any of these gulls, please note the leg and the color of the band; if it is possible to read the number on the band, record that also. This information can be shared directly with Carly at SFBBO (cschacter@sfbbo.org). If the birds also have a metal band, and you can read that number, too, please report that to the National Bird Banding Lab.